ADER HABER is a team of experts that has been operating on the Ukrainian legal market since 2006 and has gained a reputation as a reliable legal partner for leading international and national companies. ADER HABER’s team under the guidance of 3 partners and 7 counsels encompasses 40 specialists in the field of law, including 10 attorneys, 4 tax consultants, and an English solicitor. The Professionally elaborated business system of ADER HABER allows our team of experts to be focused on the result for your business; therefore, the partners and counsels of the company are directly involved in each client’s project. The main business profile of ADER HABER is the provision of the following legal services and comprehensive business solutions: Litigation and Dispute Resolution, Bankruptcy and Financial Restructuring, Business Security, Enforcement Proceedings, Corporate Law and M&A, Real Estate and Land Law, Banking and Finance Law, Antitrust and Competition Law, Tax: Consulting and Disputes, Accounting Services, Labor and Employment, Compliance and Financial Investigations, Intellectual Property and IT Law, Energy and Natural Resources, Insurance Law, Private Client. We are the preferred partner for leading national and international companies in transport and infrastructure, construction and manufacturing sectors, as well as agriculture, financial institutions, TMT and Retail & FMCG: Inditex Group; Cardif BNP Paribas Group; Borjomi; Alfa-Bank; Dragon Capital; UKRAVTO Corporation; DTEK; Vodafone; Nestle; Fudmerezha (TM “Velyka Kyshenia”); Epicenter K; Deposit Guarantee Fund; Piraeus Bank; VTB Bank; Ukrsotsbank; Merx; Metlife; AXA Ukraine; Kovalska Industrial-Construction Group; Agrospetsservis; Allseeds; Oil Industry etc. The expertise of the experts at ADER HABER has been numerously highly evaluated by international and national rankings for many years, namely: Chambers and Partners, Legal 500, IFLR 1000, Best Lawyers, EEA Real Estate Forum & Project Awards, Ukrainian Law Firms. 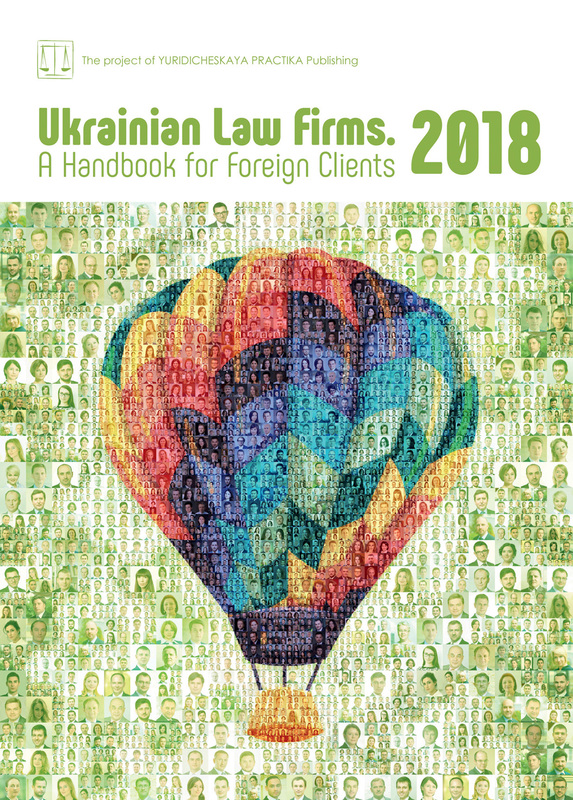 A Handbook for Foreign Clients, TOP 50 Ukrainian law firms, Legal Awards, PLS Top Teams, Market Leaders: Ukrainian law companies ranking, Client’s Choice. TOP-100 Ukrainian lawyers, HR-Brand, Attorney of the Year. As it was correctly noted by “the father of advertising”, content plays a key role in advertising. The content not only affects the consumers upon purchasing goods, but also is the subject of analysis of the supervisory authorities. Any advertising shall comply with the requirements of Ukrainian legislation, general requirements for which are stipulated by Law of Ukraine No. 2657-XII On Information and more specific — by Law of Ukraine No. 270/96-VR On Advertising, Law of Ukraine No. 236/96-ВР On Protection against Unfair Competition and the Law of Ukraine No. 1023-XII On Consumer Rights Protection. The basic principles of advertising are: legality, accuracy, authenticity, use of forms and means which cause no damage to consumers. Advertising should be in line with the principles of fair competition. (Article 7 of Law of Ukraine On Advertising). Meanwhile, the Unfair Competition Law provides that misuse of indications, comparative advertising and dissemination of misleading information are unlawful and punishable — up to five percent of annual revenue of the whole group of companies to which the violator belongs (Article 21 of Unfair Competition Law). National legislation provides special requirements for the advertising of certain types of goods and services, such as medicines, medical equipment, methods of prevention, diagnosis, treatment and rehabilitation; alcoholic beverages and tobacco products; weapon; financial services; employment services; real estate, etc. Medicines have a prominent place among “special” advertising objects. Ukrainian legislation establishes a significant list of permitted and unpermitted medical advertising. Only authorized medicines that are sold without a prescription and/or are not prohibited for advertising and/or are not doping are allowed to be advertised. Advertising of medical products should contain clear information about the product with well-defined advertisement message, warnings about medical designation and necessity to consult with a doctor, etc. Due to possible harmful influence of alcoholic beverages and tobacco products they are also specific objects of advertising. Thus, the Law of Ukraine On Advertising provides more prohibitions and restrictions than opportunities for the advertisement of alcohol and tobacco products. In particular, there is a complete ban the advertising of tobacco products in Ukraine in any ways, except for websites designed for adults with a mandatory age identification. The regime of alcohol advertising is less strict. Thus, the owners of alcohol brands are allowed to be sponsors of television, radio broadcasts, theatrical concerts, sports events and other events. Special attention deserves advertising requirements for kid audience. Thus, any advertisement should consider the special sensitivity of children and not harm them (Article 7 of the Law On Advertising). In addition to this, it is directly forbidden to use the image of children who consume or use “adult” items; to place information that can undermine the credibility or trust of parents and teachers; encourage children to purchase certain products; use any images of weapons, explosive devices etc. However, not all companies comply with the requirements of the law and, therefore, their advertising is subject of investigation by supervisory authorities, such as the State Service of Ukraine on Food Safety and Consumer Protection and the Antimonopoly Committee of Ukraine (hereinafter — the AMCU). Thus, in 2017, the AMCU revealed and suspended 208 violations related to dissemination of misleading information (Article 15-1 of Unfair Competition Law). The AMCU Annual Report of 2017 describes different violations in the advertising sphere, which could be used as model examples on how not to behave in advertising campaigns. Particularly, a paint manufacturer placed on the packaging of its products the unconfirmed comparison of price/quantity with its competitors as well as an incorrect statement that its product creates stronger effect than other products do. Such actions were qualified by the AMCU as a violation of Art. 7 of Unfair Competition Law (the amount of the fine was UAH 50.000). Another example is the case against a toothpaste manufacturer, who has spread unconfirmed information on the packaging and advertisement of the toothpaste (namely, wording “Recommended by dentists” and photo of a person in a white coat). This false information could affect the consumers’ intentions to purchase the goods of this company and lead to unjustified advantages in competition. The AMCU recognized such actions as a violation and imposed a fine of UAH 68.000. Also, last year the AMCU imposed a fine of the “impressive size” (more than 7 million UAH) on a Ukrainian winery manufacturer. Thus, the AMCU has revealed that on the Ukrainian market there are wines marked in the Georgian language, flag of the Republic of Georgia, the indications “100% GEORGIAN WINE”. Such packaging and related advertising on the Internet consist of not truthful information regarding the wine’s origin. Consequently, such actions were qualified as the dissemination of misleading information under Article 15-1 of Unfair Competition Law. At the same time, violations of advertising legislation also happen abroad. For instance, during two years from 2015 to 2017 the Federal Trade Commission (FTC) investigated the ride-sharing company Uber. The FTC revealed that Uber misled drivers on their annual average income. Namely, Uber indicated amounts, which were 10% more than actual ones. As a result, Uber was forced to pay USD 20 million to settle claims brought to the FTC’s consideration. Volkswagen falsely advertised environmentally friendly diesel cars. In 2016, the FTC filed a lawsuit against VW, which claimed the car company had deceived customers with the advertising campaign. Namely, Volkswagen had informed customers that its products were ecologically clean (Clean Diesel vehicles). The year prior, it was exposed that VW had been cheating emissions tests on its diesel cars in the US for the past seven years. As a result, the United States Environmental Protection Agency has resolved a civil enforcement case against VW by signing partial settlements. The total amount of the fine is more than USD 4,3 billion. However, there are world-known companies that do not use advertising at all and consequently do not pay the related fines. For instance, Inditex, which, besides Zara, owns Bershka, Massimo Dutti and several more brands, uses another way of promotion. The clothes of Zara are in some way like “podium” things, and Zara stores are often placed close to luxury brands. Moreover, the world’s most famous automaker works without advertisers and marketers. Because the main “advertisement” of the company is Elon Musk, who is active in social networks and regularly communicates with the press. Yet, only a few brave companies can afford to do business without advertising. As for the rest, the practical recommendations for proper use of advertising would be quite useful. — references to research that has not been conducted or does not confirm the advertising “slogans” (use of “the best”, “first” without reference to the relevant research). — placing images of awards that the product does not have (for instance “approved by the Ministry of Health of Ukraine”, if it is not true). — placing marketing actions that do not comply with the stated content (“guaranteed prizes”, which actually are not such). — links to the lowest prices/discounts or the possibility of getting the goods for free, which does not correspond to reality (for instance “the lowest prices in the area/town/country”, which is not true). — indication of the wrong method/place of manufacture of the product, on the ingredients or characteristics that are not true (for instance, “juice made from exotic fruits”, which does not correspond to reality). — links to the medical characteristics of the product that do not correspond to reality, etc. Summing up the above, it should be noted that the price of any advertising campaign is usually high, but the price of an “advertising” mistake may be crucial. In order to prevent the claims of supervisory authorities any advertisement should comply with local legislative requirements.